It has shown me that everything is illuminated in the light of the past. It is always along the side of us…on the inside, looking out. 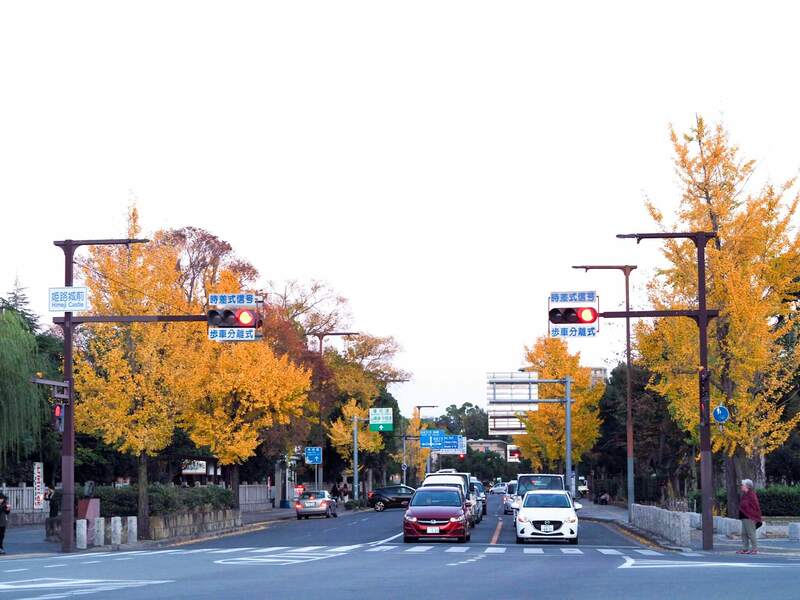 Last Wednesday, I went out on a date with my beloved 5 years old bicycle sightseeing around Himeji Castle area and because it’s autumn, I brought out my baby camera too to take pictures and test my non-existent photography skills. It’s cold but the scenery is so beautiful and screams aesthetic! and Tumblr vibe with all the colourful red and yellow leaves. If you’ve read my post on Himeji in spring, autumn definitely didn’t lose out to spring in being a beautiful season. Autumn colours remind us we are all one dancing in the wind. Come, little leaves,” said the Wind one day, “Come to the meadows with me and play. Put on your dresses of red and gold; For Summer is past, and the days grow cold. I’m too lazy to edit the pictures in Lightroom but I guess these pictures don’t need editing. I think it’s pretty obvious from my pictures that I’m a total newbie in photography. 😂 The illumination is 1000x better in real life. Don’t let my not so pretty pictures cloud your judgement.